Our billing office files your insurance and will also set up a payment plan should you need one. The staff in the billing office will assist you with any insurance questions or problems you have. They are your financial advocates. It is very important that you notify them of any changes in your insurance coverage. Please feel free to discuss any financial concerns you have with them. We take Medicare Assignment. This means we accept Medicare rates for covered services rendered. You are responsible for the 20% and your annual deductible. You will be required to pay your 20% at the time of service unless you have a supplemental insurance that covers this amount. If this is a hardship, please contact us. We take all forms of health insurance. We depend on you, however, to keep us informed of any changes in your coverage. We normally do not file cancer policies but we will provide you with a summary of all your charges to enable you to file you own policy. We accept many PPO plans. We are contractually obligated to collect your co-payment at the time of service. You will be charged a co-pay each time you are in our office. PPO plans charge for all office visits whether you see a doctor, APN, or nurse. It is your responsibility to keep your referral current. We will do all we can to remind you and to work with your primary care physician. However, it is your responsibility to know if your insurance requires a referral and whether or not that referral is current. If your insurance requires a referral and you do not have one, you will be held responsible for any charges incurred for services rendered during the time that your referral was not current. Many insurance companies require pre-certification for treatment. Please check with our Billing Office as soon as you know your treatment plan so that we can start the pre-certification process. If diagnostics are performed or treatment started without pre-certification, you could be responsible for any charges not covered by your insurance company. If your insurance company requests further information from you and you do not provide it, you will be responsible for the total charges. 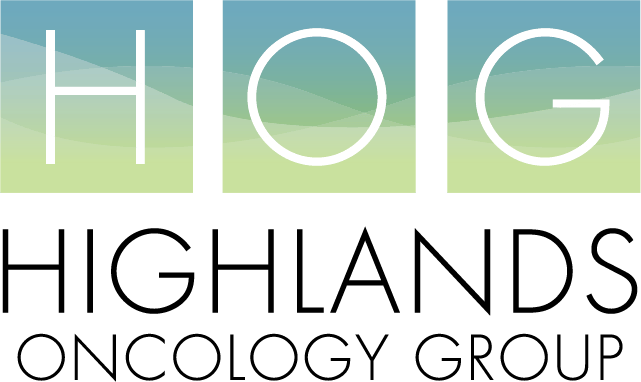 Highlands Oncology makes every attempt to collect from your insurance company, however, there are times when they simply will not pay and you are left with the responsibility. We are more than happy to work with you by making payment arrangements or by helping you apply for alternative methods of payment. However, we cannot help you if we do not know you need help. Please notify the Billing Office of any changes in your insurance coverage. We accept checks, cash, Master Card, Visa, American Express, Discover, and direct bank transfer. Please contact the Billing Office if you have questions. We are your financial advocates and very much wish to help you in any way. You may contact us by calling 479-587-1700.